American artist Jim Shore has worked decades developing his craft, manufacturing his own designs and traveling the country selling his works. Finally, in 2001, he partnered with noted giftware manufacturer Enesco to create Heartwood Creek. 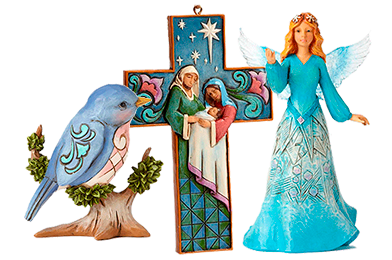 This collection captures the essence of traditional themes and motifs of American and European folk art designs with everyday and seasonal figurines and ornaments. 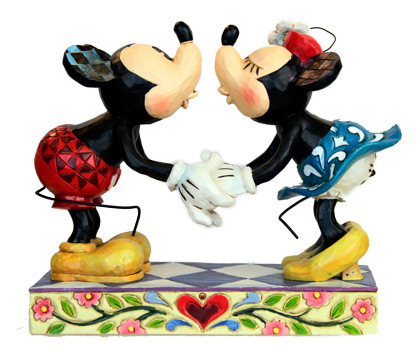 From the whimsical, heartwarming or spiritual, each piece will bring joy to any home. All pieces are individually boxed for ease of gift giving … or giving to yourself! Jim Shore has created a magical world called Heartwood Creek. Jim Shore Heartwood Creek® collectibles weave stories that express a sense of family, friendship, and tradition. 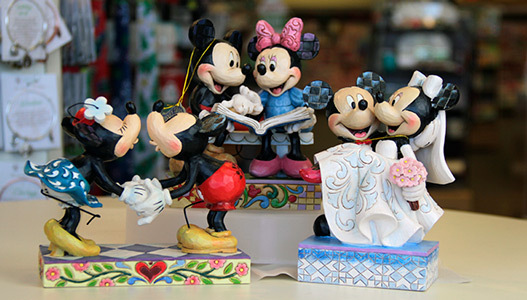 Each handcrafted collectible figurine, You’ll love the Disney designs from Jim Shore as well. Christmas tree ornament and handcrafted gifts unite folk art and quilting to create distinctly special, beautifully colored combinations. 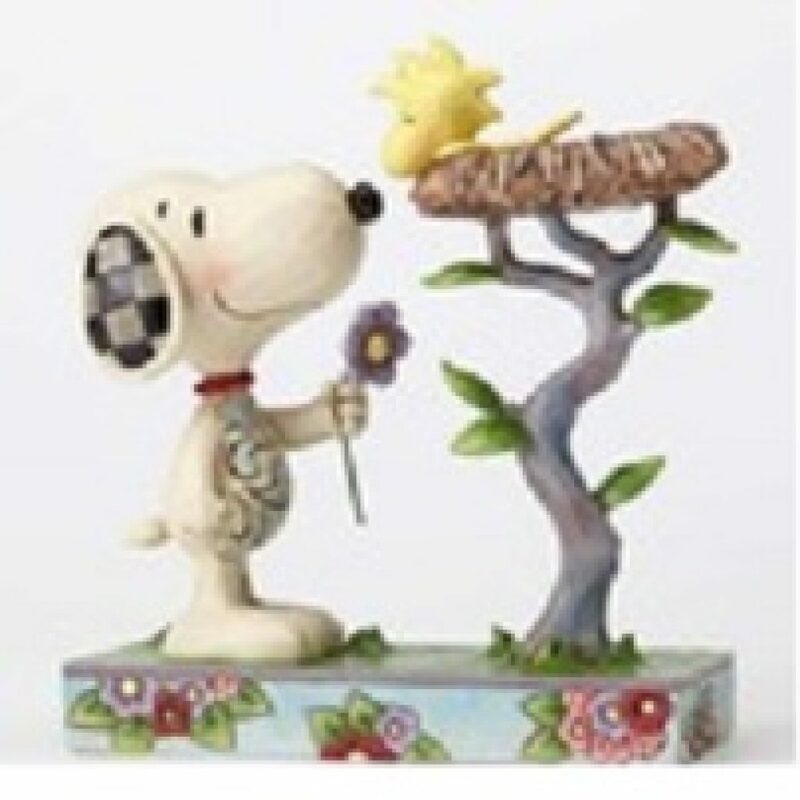 From the whimsical, heartwarming or spiritual, each piece will bring joy to any home. Charles Schultz started his famed “Peanuts” comic strip over 60 years ago. Today Jim Shore brings those two-dimensional characters to life in three-dimensional figurines. Added with Jim’s own artistic interpretation, these figures are both familiar and unique. Choose from classic everyday scenes, to those from Halloween, Christmas and more. 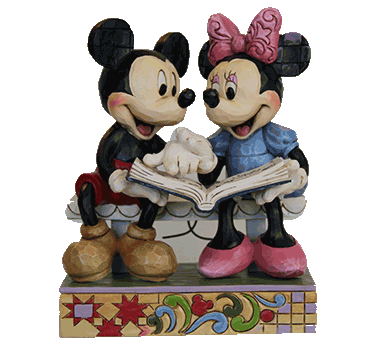 Stop in to either of the Ryan’s Hallmark Shop Central Florida locations to see the very latest members of this collection. In a similar manner to how Mickey and Minnie are made for each other, Jim Shore has partnered with the Walt Disney Company to bring their designs together in a collection called “Disney Traditions.” Featuring the iconic family of Disney characters and even unique items like “It’s a Small, Small World,” this collection is sure to bring joy to both the long-time and the newest of Disney fans!